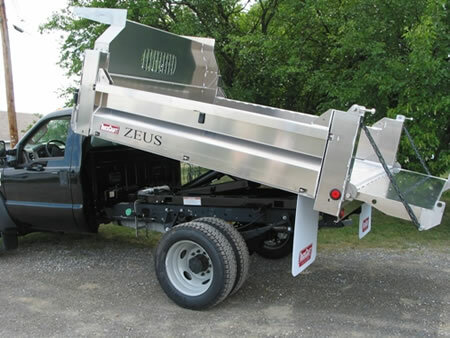 The new ZEUS one-ton dump body for up to 19,000 LB GVWR chassis, will permit you to haul up to 500 lbs more each load because ZEUS’s robust aluminum construction saves 500 lbs over like-sized steel bodies with equivalent hoist ratings. Never sandblast or re-paint your one-ton steel dump body again to try to get another few years out of it. The new ZEUS will stay looking sharp with little maintenance, and you will be able to move it to a new chassis someday without having it crumble apart because of all-too-familiar cancer rust. Saltwater boats, aircraft and automotive applications have demonstrated time and again that if selected properly, aluminum will withstand saltwater and moisture corrosion much better than steel without costly paint maintenance. If clean design and well executed workmanship, rugged but easy-to-use controls and latches, 500 lb weight savings over steel, maintenance free appearance, are things you want, then this is the dump body for you. 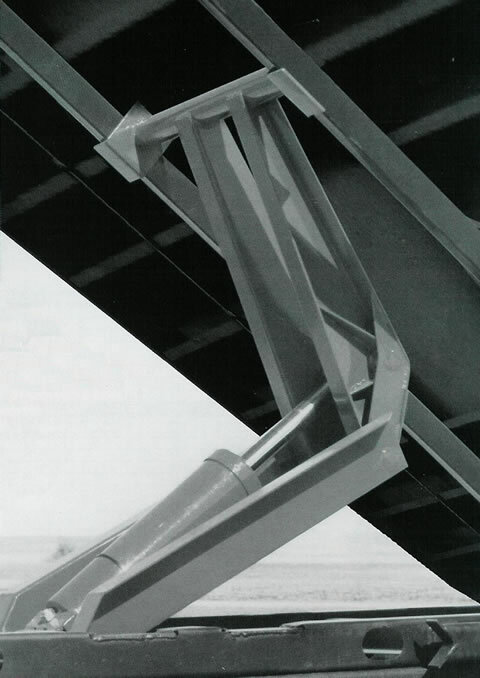 Chassis: 12,000 to 15,000 GVWR, 60” C.A. Bed Size: 96” wd. X 9’-4” lg. Chassis: 14,000 to 19,000 GVWR, 60” C.A. Chassis: 14,000 to 19,000 GVWR, 84” C.A. Bed Size: 96” wd. X 11' lg.